Hipstamatic is still around, alive and kicking, and in a press conference today, its founders announced the launch of a standalone social photo-sharing app for iOS it calls Oggl. 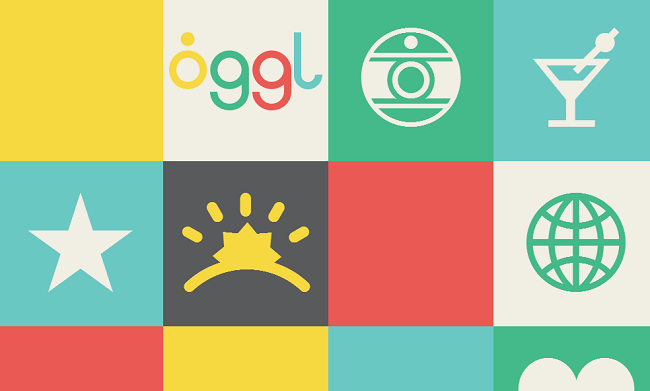 As with most photo-sharing apps, Oggl and Instagram could be cousins. It also shares some similarities with Flickr, and a Hipstimatic’s spokesperson describes it as a “place for like-minded, creative people who use photography as a way to connect with their inner artist.” While Instagram surely has a hold on the mobile-meets-photo-meets-social market, Flickr’s long-standing reputation with creatives and artists as well as its recent upgrade do give it some clout (although you could argue the addition of Aviary filters may have hurt how seriously it’s taken by photographers). Regardless, Oggl solves the problem of Hipstamatic’s very absent social features. Photos snapped and filtered through the Hipstamatic photo app end up on external platforms like Facebook, Twitter, Instagram, and Flickr. Keeping content in-house means more in-app engagement, and of course opens up the doors to a number of monetization opportunities for an app that’s free to download. Oggl sports a “point-and-shoot” camera called Capture, and uses “Hipstamatic’s beautiful lenses and films.” There are five different types of free thematic lenses and films to choose from including Food, Nightlife, and Sunset, among others. You get a handful of these for free, but to access the full catalog of lenses and films, Oggl asks for $0.99 per month. Oggl’s “Curate” feature is what makes the app social. Each user has a profile page alongside a section titled “My Collection,” which displays all the photos that you’ve added yourself or curated from other users. Those of you looking for quality content will find a section called the “Curated Editorial Feeds” that’s hand-curated by Hipstamatic and participating photographers. When Instagram’s acquisition was announced, rather than bowing out of the photo-filter game, Hipstamatic took an unconventional approach by reimagining the company into something of a lifestyle brand. Under its wing, Hipstamatic owns PrintLab, Incredibooth, and its digital publication Snap Magazine alongside its two photo apps. Its user base isn’t comparably remarkable, with just four million users, but that’s still nothing to sneeze at, and its community remains incredibly loyal and tuned-in. 60 million photos are taken each month, and a total of two billion photos since have been snapped to date. Oggl hasn’t officially launched yet, but antsy Hipstimatic fans can sign up for early access through this link as the beta testing wraps up, but the app could be available as early as the end of the week.